I’m very excited to announce that preparations are well underway for a new show due to tour from May 2018. In 1917 Chaplin released his short film “The Immigrant”, a story of people optimistically arriving in America to start a new life. One hundred years later, in 2017, America introduced the most controversial immigration policy in the nation’s history. I am adapting Chaplin’s short film and developing new material to represent the experiences of today’s immigrants to America. Look out for previews of material in the next few months. The minimal word count in some Hollywood films has ruffled some feathers. But is it something to worry about? Click here to listen to the BBC discussion. This is a good introductory read about the techniques of clown super-director Cal McCrystal. Most usefully, it highlights some games that he uses to generate clown material. I just came across this terrific post from the New York Times in which Seinfeld reveals some of the process of writing a comedy bit. Spot on, of course. And despite being about verbal comedy, it reveals a lot of the important aspects of visual comedy – rhythm, brevity and reincorporation. Can you be jealous of a film? 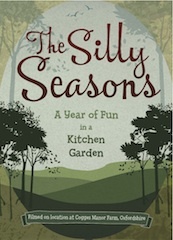 The Silly Seasons has been seen all over the world this year. In fact, it’s been to New York and Minnesota – my top two places that I’ve always wanted to visit! It has been an incredible surprise that film festivals have scheduled it. Thanks to all the bookers, and thanks to everyone who has given me your support throughout the year. If you haven’t seen it, it’s not too late!